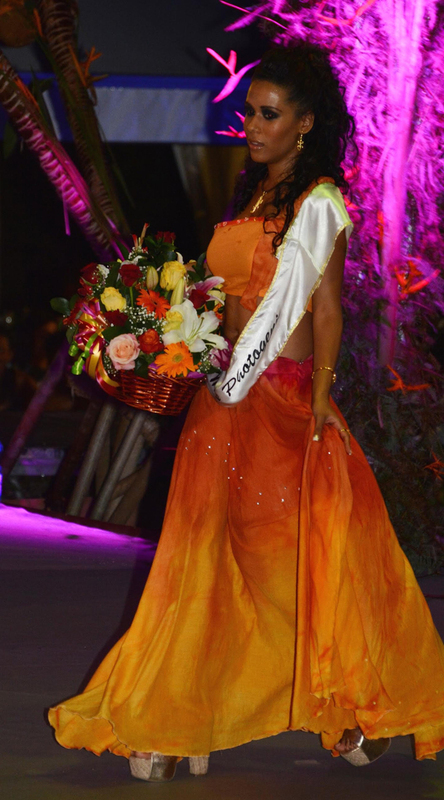 Miss Seychelles… Another World 2014 Camila Estico has handed over her crown to a new ambassador to represent the Indian Ocean island nation. 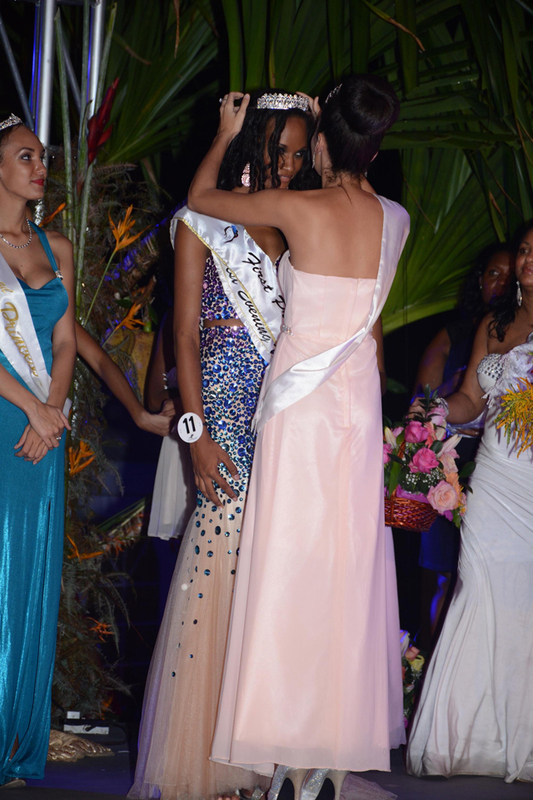 In the early hours of Sunday morning, before an audience of hundreds, contestant number 9, 21-year-old Linne Freminot was crowned the new Miss Seychelles for 2015. Speaking to the media after the crowning, an excited but well-poised Freminot shared her reaction to winning the coveted crown. “Well, I was not expecting it, and I feel so emotional, and I’m so happy and so honoured that the judges have chosen me. 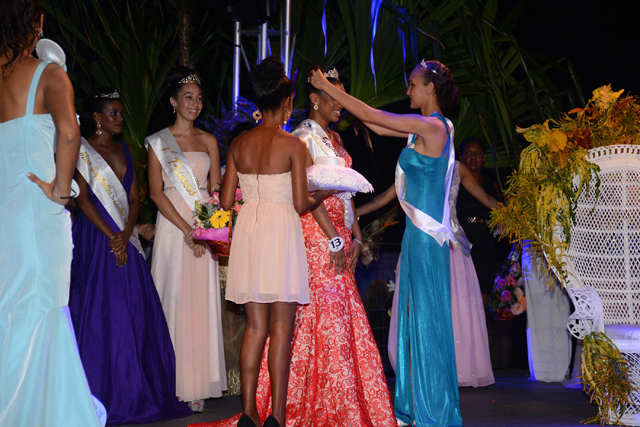 I want to make them proud, I want to make Seychelles proud,” she said. Freminot also spoke passionately about her ‘Beauty With a Purpose’ community upliftment project, which will work towards helping the children of prisoners in the Indian Ocean island nation by monitoring their progress at school, providing extra lessons for them and building a playground at the prison so that they can connect with their parents in a more pleasant environment. 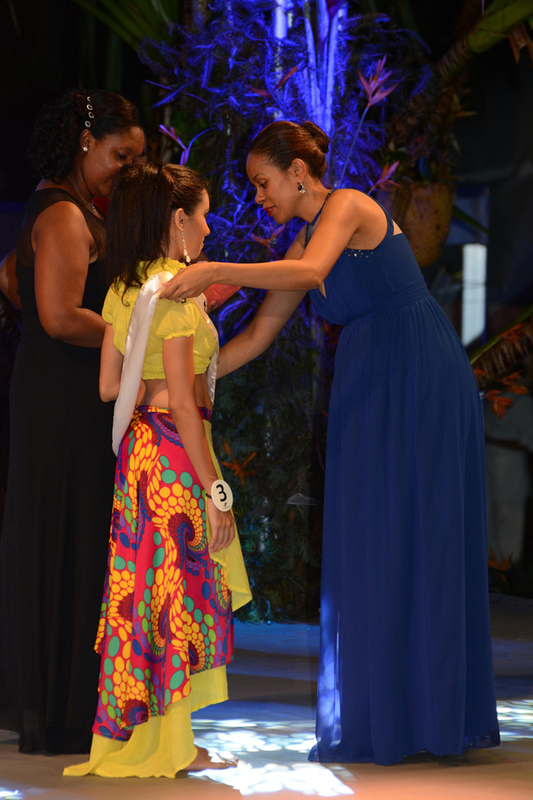 The beauty pageant took place at the luxurious Constance Ephelia hotel situated at Port Glaud in the north-west of the Seychelles’ main inhabited island of Mahe, which was filled with the who’s-who of Seychelles in their best evening wear. Nerves ran high as rain threatened to put a damper on the proceedings, as the main stage was located outside in the beautifully-lit courtyard around the dinner tables, but it thankfully cleared and the pageant began, albeit a little later than scheduled, bringing to an end three months of intense training and hard work by both the contestants and organisers alike. It was announced that contestant number 14, Marina Appasamy, would not be participating in the pageant, bringing the total number of contestants who have dropped out of the pageant this year to two. Contestant number 4, Shanipha Semerano, stepped down after being charged by police over what had been termed a ‘childhood scuffle’ when she was 15. 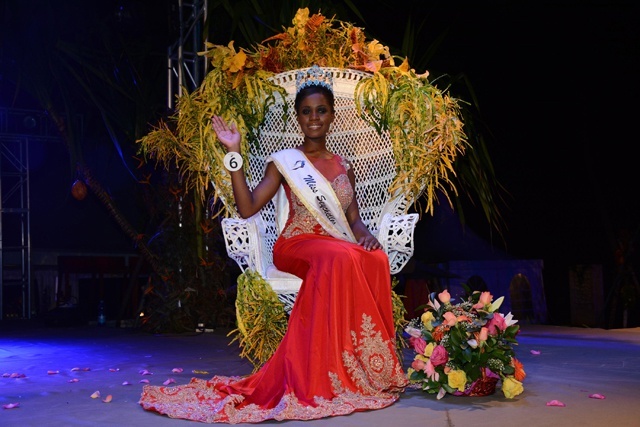 SNA was informed by Seychelles Tourism Board officials that Appasamy had been suffering from ill health in the runup to the pageant. 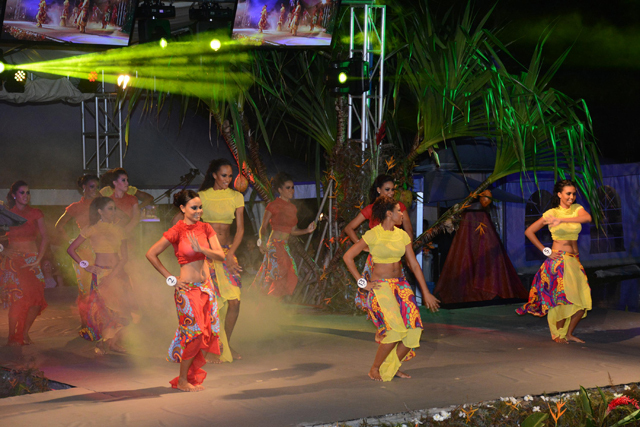 The pageant started off with a beautifully-choreographed routine of traditional Creole dancing from all twelve contestants, who then went on to strut their stuff on the catwalk with casualwear, swimwear and then the final wardrobe change of scintillating evening gowns. Throughout the night, the eight judges gave awards for the training and contests which were held in the run-up to the big night; including Miss Personality, Best Effort for the community upliftment project, Miss Photogenic, Miss Sport, Miss Talent, Best Evening Gown and the People’s Choice Award, which had been open for the public to vote for their favourite contestant in the weeks before the pageant night via SMS text message. 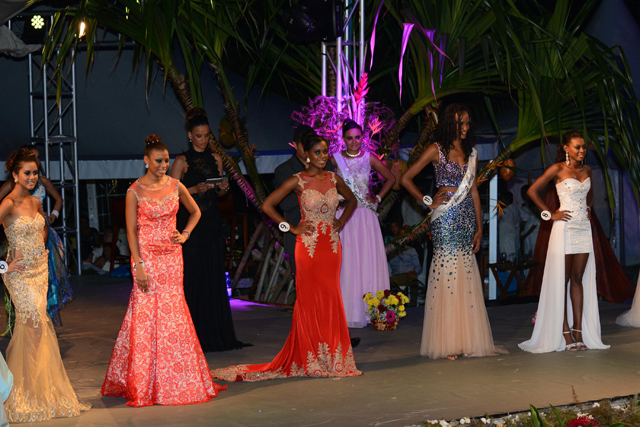 Out of the twelve lovely contestants, five finalists were chosen: Stefanie Underwood, Mariam Bertin, Genevieve Rene, Petra Richard and Linne Freminot. After going under the spotlight and facing some tough questions from the judges, the deliberations began in earnest to choose the ultimate winner. 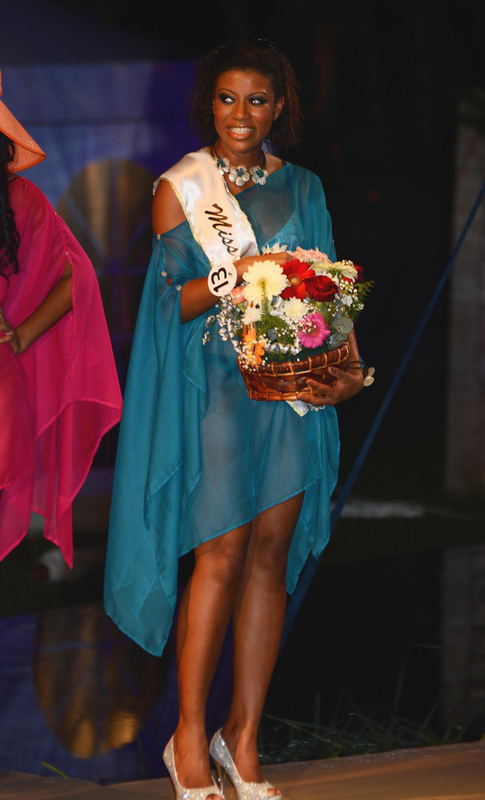 Reigning beauty queen Camila Estico, looking stunning in a low-cut purple dress, was on stage for the final leg of the event, and she was happy and ready to pass on the crown to someone new who would take the baton and continue the journey of representing Seychelles on the world’s stage. After a lengthy judging session, during which the audience was entertained by a musical act from Algeria called Babylone, the results were in and the breathless finalists waited for the announcement. 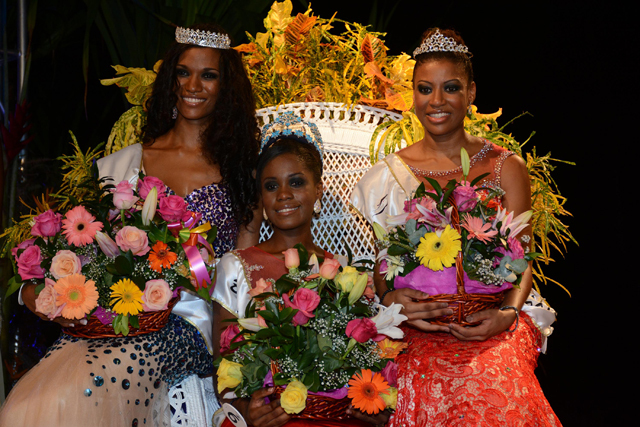 21-year-old Linne Freminot was announced the winner, while tall beauty Petra Richard (contestant 11) received the First Princess tiara and contestant 13, Genevieve Rene, was awarded the Second Princess title. The prizewinners went home with a variety of different prizes, including diving courses, gym memberships and gift vouchers for accessories, hair and beauty products, but the biggest prize given to all the winners were return tickets to various destinations from Air Seychelles. The new Miss Seychelles… Another World will have little time for leisure as she starts the arduous task of preparing for the upcoming Miss World contest, which will be held on December 19 in Sanya, China. The beauty pageant, which is now in its 65th year, where reigning Miss World, South African Rolene Strauss, will hand over her crown.